The 85th Texas Legislature, Regular Session, 2017, passed HB 1886 amending TEC §38.003 to specify that a student enrolled in public schools must be screened or tested as appropriate for dyslexia and related disorders with a program approved by the SBOE. The legislation requires that the program must include screening at the end of the school year for all kindergarten and first grade students. 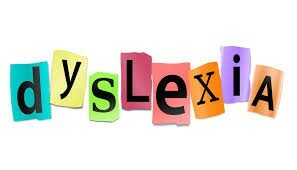 Additionally, HB 1886 requires the TEA to annually develop a list of training opportunities that comply with the knowledge and practice standards of an international organization on dyslexia. The training must also enable an educator to understand and recognize dyslexia and implement systematic, explicit, and evidence-based instruction to meet the educational needs of a student with dyslexia. What does H.B. 1886 say? *H.B. 1886 includes other components that are not included in the paragraph above that are not directly related to the dyslexia screener. I recently had a meeting the other ESC Dyslexia Contacts from across the state, as well as TEA for guidance on the responsibilities of districts regarding the new screener requirement. The following information is the latest information based on the concerns of districts. What Screener Are We To Use? This is a SBOE rule. TEA will not be providing a list of approved screeners. Districts should use the Dyslexia Handbook (2014) to guide their decision on what screener they will use. Pages 8-10 of the handbook provide grade level characteristics for dyslexia. Many early reading instruments that are currently being used in districts may be able to be used to satisfy the dyslexia screening requirement. Who Will Administer the Screener? The screener's manual will provide guidelines to ensure the fidelity of the screener. Most screeners are able to be given by the classroom teacher. The person conducting the screening should be trained in how to administer the screener to ensure accurate results, as well as the characteristics of dyslexia. How Do We Report the Data from the Screener? Local districts will determine how their data will be collected and stored. At this time, the data is not going to be reported in PEIMS. It is a best practice to have a procedure for how this data will be collected and stored in your district. The ESCs will be providing guidance to districts on how this could be accomplished. Research continues to support the need for early identification and assessment (Birsh, 2011; Sousa,2005; Nevills & Wolfe, 2009). The rapid growth of the brain and its responsiveness to instruction in the primary years make the time from birth to age eight a critical period for literacy development (Nevills & Wolfe, 2009). Characteristics associated with reading difficulties are connected to spoken language. Difficulties in young children can be assessed through screenings of phonemic awareness and other phonological skills (Sousa, 2005). I will be conducting a follow up webinar on Thursday, November 9th from 3:30-4:30. At this time, I will be able to answer any of your questions and / or clarify any information regarding the screener. I will also share the guidance documents with participants during this webinar.